No matter the industry, mobile consumers judge their mobile experience on the speed of response and the quality of service they receive. The complexity is hidden behind user-friendly application interfaces, leading to a feeling that everything is simple and should work flawlessly. Every product and project manager must rethink the way they approach the mobile app lifecycle—inclusive of products, processes, and business models—and focus on the user experience. Mobile app developers and testers understand that selecting the right solution - beyond mobile app testing - for user experience testing can be a daunting task. We sometimes overlook the copious amount of work that must go into it. 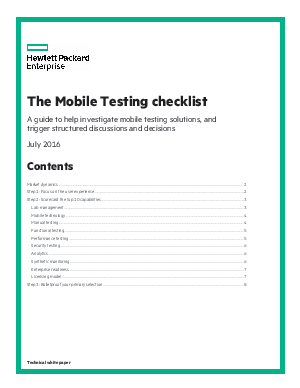 Mobile testing is inherently more complex than traditional software testing.